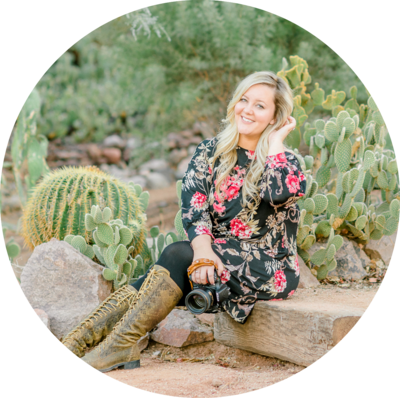 Along with shooting the incredible shoots at Showit United that are included in the experience of the conference, I also signed up to attend a workshop offsite with Ryann Lindsay Photography! I had attended Ryann’s shoot last year, and I was blown away and drawn to her attention to detail and the fact that her style is light and airy like mine. But most of all knowing that she shoots film! Once I saw that she was holding an offsite workshop this year, I signed up eagerly giddy to see what she would come up with… and to learn some styling tips and posing from her was just a big bonus. This evening in the desert definitely did not disappoint, and a huge thanks to Ryann for sharing her wisdom with us, and creating this beautiful shoot to capture!